Summary: Mr. Verloc, a London shop owner and secret agent, becomes involved in a terrorist plot to blow up the Greenwich Observatory. In the process, things go awry and his family gets involved. What I Thought: My disdain for the work of Joseph Conrad has been well documented on this blog. Yet, the man has four books on the Modern Library list, so I travel onward. I grabbed this one in part because of its short length and in part to simply bite the bullet and get through. What I found surprised me. It turns out Conrad wrote about things other than the colonizing exploitation of Africa. 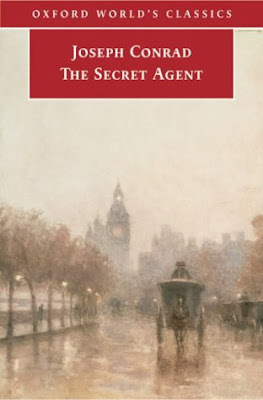 This novel is set in London and, while it really falls into the same period adventure novel category as Conrad's other works, it carries a far different tone. The plot is clearer but the characters are just as morally ambiguous. How I Found It: It's been popular the past few years. 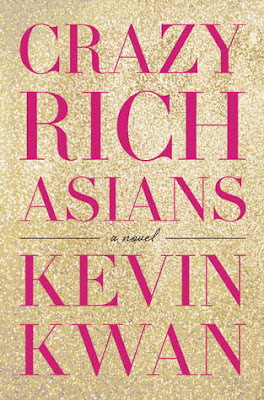 Summary: Rachel Chu doesn't know what she's getting into when her boyfriend, Nicholas Young, invites her home to Singapore for the summer. Turns out, Nick is from a family at the peak of Asia's elite wealthy. Their world of private jets, shopping sprees, and elaborate parties is one into which Rachel may not fit. What I Thought: This book was just fun. It's basically pure fluff. It would be an amazing beach read, so it's almost too bad I picked it up in January. I enjoyed peeking into this luxurious world. Here in the West, we've seen glimpses through shows like Gossip Girl or my obsession with casual interest in royalty. I do not think we give a lot of thought to the wealth of the Eastern Hemisphere, though. Let's be realistic, we tend not to give a lot of thought to anyone outside our borders. It's a major fault of ours. If you've read the blog for long at all, you know one of my favorite things about reading is the education it offers, particularly about cultures and experiences so different from my own. Summary: Feminist icon Gloria Steinem reflects on her years traveling the country and the world. She shares personal anecdotes, lessons learned, and stories told. What I Thought: When Emma Watson announced she was starting a feminist book club, I knew I would want to join in. Feminist can be such a dirty word to some people, particularly in Christian circles. A little education on its actual intent, however, helps to remove the stigma. Feminism is about gender equality. As with any movement, there are countless variations and levels, none of which should be judged exclusively on the actions of other contingents. You would (hopefully) not judge a Southern Baptist based on the actions of a Catholic or vice versa, even if their core beliefs are basically the same. Therefore, judging all feminists based on the mythical bra burners of the 1960s. In the wise (and paraphrased) words of one of my aunts, who has been a lifelong proponent of equality for all types of people, every movement has its extremists, but they don't represent all of us. Steinem would certainly rank as an extreme to many people. Her work and advocacy for women has been controversial, a reality of which she is well aware. Still, you cannot argue away her influence or the prominent cultural role she played in the twentieth century. She has been a strong voice in the conversation of gender equality and feminism. 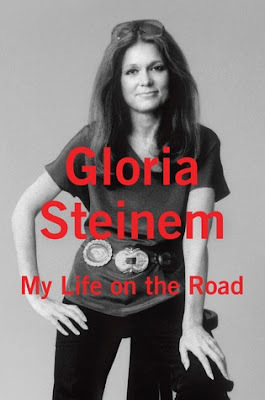 For a feminist book club, starting with Steinem is a pretty sensible move. 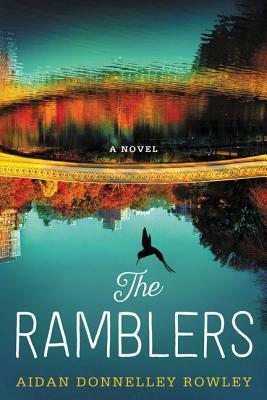 Summary: Three New Yorkers struggle to find their place in the city, their friendships, their families, their futures. What I Thought: Sometimes I really do not enjoy contemporary fiction. Sometimes it feels like writing without a purpose, just a story that needed to get out of a writer's head but had nowhere to go and nothing of substance to say. Then, sometimes, there are contemporary works of fiction that feel crafted with love and emotion and the struggles of an author's own life. They feel important; if not in a grand literary sense, then in a deeply personal sense, as though the author has bared a portion of his or her soul on the page. For me, The Ramblers thankfully fell in the latter category. Summary: In the rush of medical advancement, the process of dying has become extremely different than it was for most of human history. 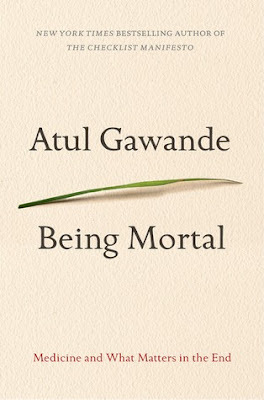 Gawande broaches the idea of bringing some humanity and dignity back to the processes of aging and death. What I Thought: To paraphrase a Goodreads reviewer, this book is only for people who know someone in the process of aging or expect themselves to be old at some point.....so everyone. 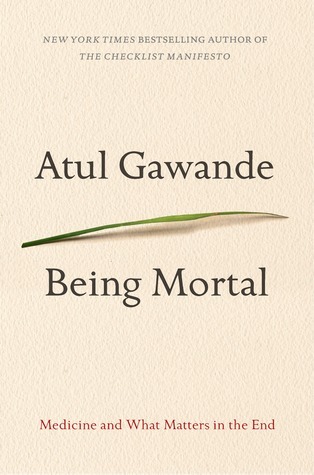 As Gawande points out, death inevitably comes for us all. The process by which we reach that point has changed drastically since the advent of modern medicine. Current medical care gives us the ability to prolong life nearly indefinitely, but at what cost? I found this book to be incredibly thougtful. Gawande has clearly spent a lot of time researching and talking to those on the front lines - medical staff, family members, and those under their care. He extensively reviews the history of modern gerentology and nursing homes, topics which end up being surprisingly interesting. 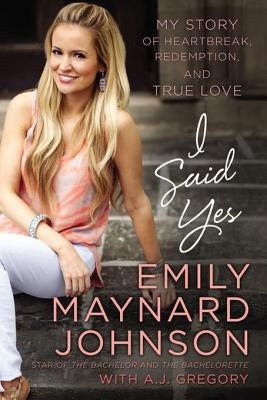 Summary: Emily Maynard found her way into Bachelor-viewing hearts as a contestant on The Bachelor and again when she starred as The Bachelorette. Though her reality tv relationships did not work out (what?! ), she is now happily married and has written this memoir, reflecting on her time on the franchise and what God has taught her over the years. What I Thought: I have been a fan of Emily's since she got out of the limo on Brad Womack's second season as the Bachelor. It is easy to understand how her sweet, unassuming, southern charm captures not only the hearts of viewers but also Womack's. She continually kept it classy on a show that encourages dramatics. Her tragic backstory as a single mom did not hurt her likability (ah, the cynical realities of reality television). After things fell apart with Womack, and it didn't take long, Maynard won hearts again as the Bachelorette. Viewers saw more of her personality and values and loved her more. Tabloids, however, were particularly harsh as her second show-based engagement ended not long after her season aired. Since then, however, she has married and had a new baby with Tyler Johnson, a man she met at church, far from the eyes of reality tv viewers. Summary: Socialiate Lily Bart seems to be flourishing among the American elite. When she fails to secure a husband and, instead, unwittingly finds herself in deep debt and accused of moral failings, she descends the social strata with alarming rapidity. What I Thought: I cannot believe it has been over two years since I read The Age of Innocence, Wharton's other 100 Best Novels classic. Back then, I was not far into the challenge and was in the midst of a great run of quality picks. I had hope I would love everything on the list that much. Looking back now, I recognize Wharton's work as one of the really excellent finds to come from this challenge. To think it took me so long to read her work makes me a bit sad. 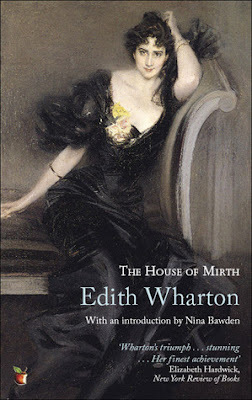 I remember wanting to pick up The House of Mirth as soon as I finished its compatriot. Instead, I made myself wait for some time in the future, wanting to spread out my newly found Wharton goodness. What a good call, Past Me; Present Me thanks you immensely for that glimmer of wisdom. What I Thought: In general, the film adaptation did a great job following the book. Most of the plot remained the same and the characters matched their literary counterparts well. 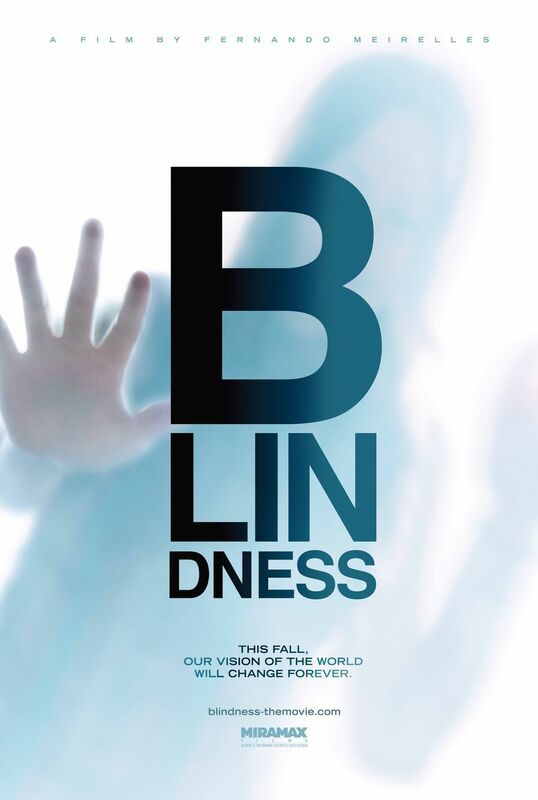 Its interesting that a story about blindness would adapt so well to the screen. Yet, director Fernando Meirelles wove the concept through the film with beautiful cinamatography and visuals. The lack of names, which bothered me so intensely in the book, was virtually unnoticable on screen. "The doctor's wife" or "the man with the eye patch" are no longer wordy or cumbersome. Instead, their identies are translated in a flash by their appearances (a reality I do not take for granted in a movie about lack of sight). I still find the nameless-ness unnecessary, but it at least worked better on screen than on the page. Summary: Upon her father's death, Mandie is left with an unloving mother, sister, and a new stepfather. She runs away to find a long-lost uncle, only to be caught up in a hunt for his will and the mystery of who will inherit his fortune. What I Thought: This series (which reaches a count of an impressive 40 books!) was one of my absolute favorites as a child. 11-year Mandie Shaw was so relatable to me at that age. She's spunky, but still a "good girl" but any judgement. Looking back now, I can see some faint parallels with the Anne of Green Gables series, if only in the optimistic personalities of the heroines. The books are set in the early 1900s in rural North Carolina. Of course, as a girl, I never dreamed I would return to the books at a time in my life when I live only a few hours from the setting. As Mandie traversed the mountain pathways with her Cherokee friends, I found myself popping over to Google Maps to trace her journey and gauge its relation to my own home. 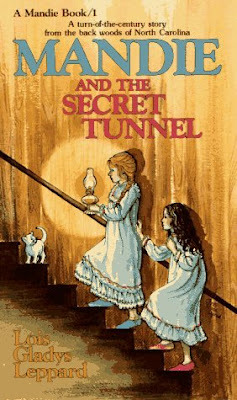 Having the proximity now in my life only made the book feel more special to me now as an adult. I would definitely recommend this series to young, Christian girls. Leppard weaves Christian morals and teachings throughout the books - no wonder my parents bought these books for me. At times, these elements are a little ostentatious; I think the messages could have been just as effective while remaining a bit more subtle. Then again, I am reading as an adult now and perhaps the lack of nuance is better suited for children. Summary: Anil leaves his home and family in India to pursue medical training in Texas. The shift of culture and the enduring weight of dual responsibilities create internal tension for him. Back home, Leena faces an arranged marriage and the realized fears that it may not turn out as she had dreamed. 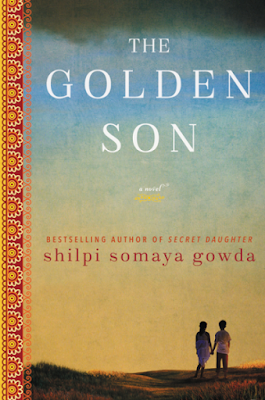 What I Thought: I loved the depiction of family in this novel. It is not portrayed as perfect or the ultimate happiness in life, but its value and impact is clear. Neither protagonist feels settle without the approval of or a strong connection to their family. Though the families can create tension or stressors, they are ultimately the support systems in times of heartache or decision making. First month of the year. A time of fresh starts and shaky promises. New routines are experimented with. Challenges seem enticing and exciting. The world seems alive with possibility and promise. The weather pushes us to stay buried in our individual pursuits of betterment. This first month of the year always feels os full of hope and heavy with expectation to me. I dream of better habits and a year of personal growth. For 2016, I am claiming the word "intentional" as a part of my everyday life. I want to be intentional in my relationships, in my career, in my free time, in my reading...in everything. For the most part, I feel as though I'm off to a good start. I've set daily and monthly goals for myself to help make the big goals more manageable and to keep myself on track. After all, big change doesn't happen without everyday intentionality and hard work. In my personal life, that's looked like having an accountability partner to hold me to some of my goals. I've practiced French every day this month and see definite improvement there. I would love to be relatively fluent by the end of the year. Thank goodness for Duolingo and Lingvist! I've also lost 7 pounds this month. Not super groundbreaking or anything, but my jeans fit a little looser and Kevin says he can see it in my face. For those interested, it's been pure diet and exercise, no fancy tricks or plans. Just hard work - which is the worst. But, at least I'm seeing results. 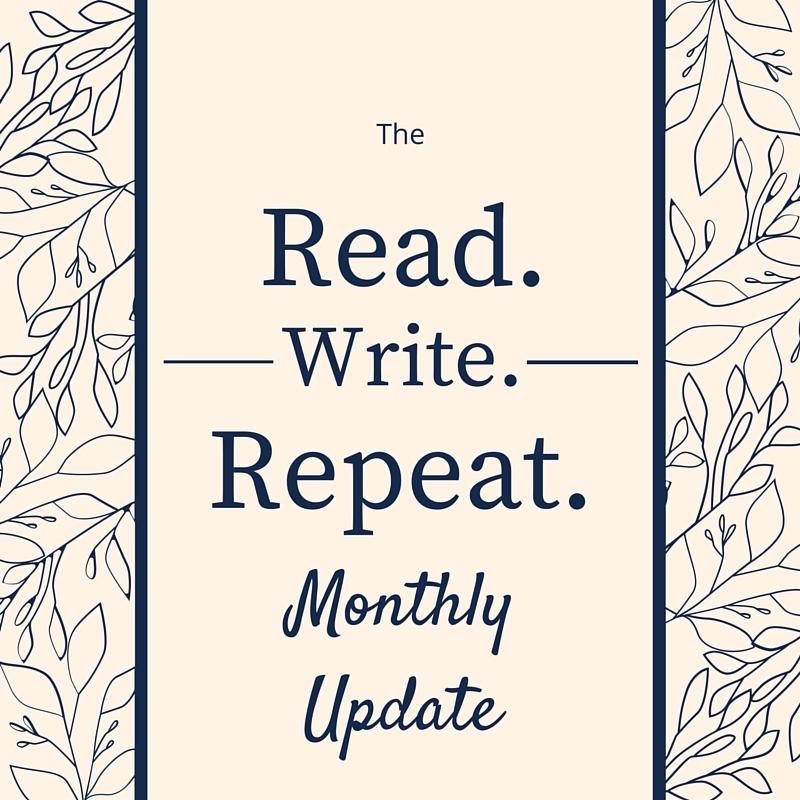 In the reading and blogging world, I have been already been more intentional about keeping my Goodreads up to date. I also have read a ton. I always read a lot in January, but this year has been exceptional. Winter storm Jonas basically shut down our state for four days, so that did not hurt things. I've done a lot of audiobooks, too. They make doing household chores or my commute a whole lot more enjoyable and make me feel like I'm making the most of my time. 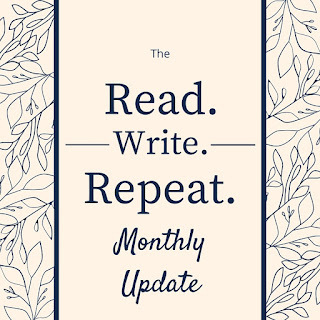 How has your first month of the year been? How are you doing on the goals you set for yourself at the start?